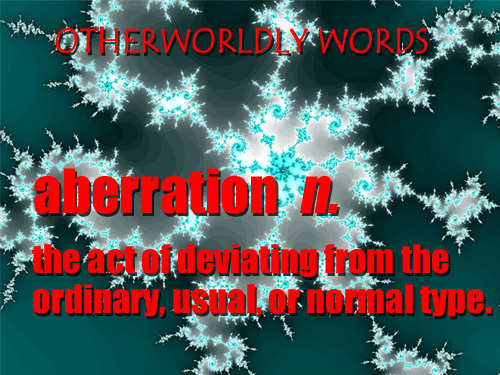 I start with aberration.Sometimes, when a virus changes course, a new plague is formed. When a person does not follow the social norms, it makes us resentful or fearful. I think it is our constant quest to put the world around us in order that makes us fear aberration so much. Do you agree?